Whatever your kid needed in college, you probably sent along with them. Anything else that’s been left behind is something they might have outgrown. That’s true for clothing, sporting equipment, toys and books. All those things can be gathered up and donated to a charity. Before you do though you should let your kid know if you are donating anything that they may want to keep. The good news is that you don’t have to drive around to all those charities with your car overflowing with boxes. Instead, you can turn that job over to Junk King Los Angeles. They make charity drop-offs part of their daily routine and will be happy to do the same for the stuff you want to get rid of. No matter where you live in Los Angeles, space is at a premium. That’s why many garages are a use for storage as opposed to actually parking a car in there. You can change that by dedicating a few hours of sorting through all the clutter in your garage. 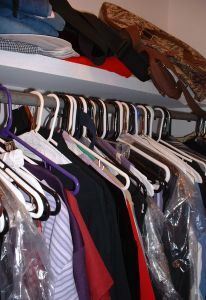 At the end of that sorting time, you will have amassed a pile of items that can be tossed out. This is more stuff they can go on to the back of the Junk King truck. Remember, Junk King is going to send over two workers for this task. They will be the ones who will do all the lifting and loading so don’t hesitate to give them the heavy things you want to get rid of like an old treadmill or pool table. One call to Junk King Los Angeles will help you refocus on organizing your home. It’s a call to make! This entry was posted in Los Angeles Junk Removal and tagged clutter, college, junk, rubbish on August 31, 2017 by Junk King. Last updated August 31, 2017 .